The children's area has been moved to the front of the library, allowing more space to read and relax! 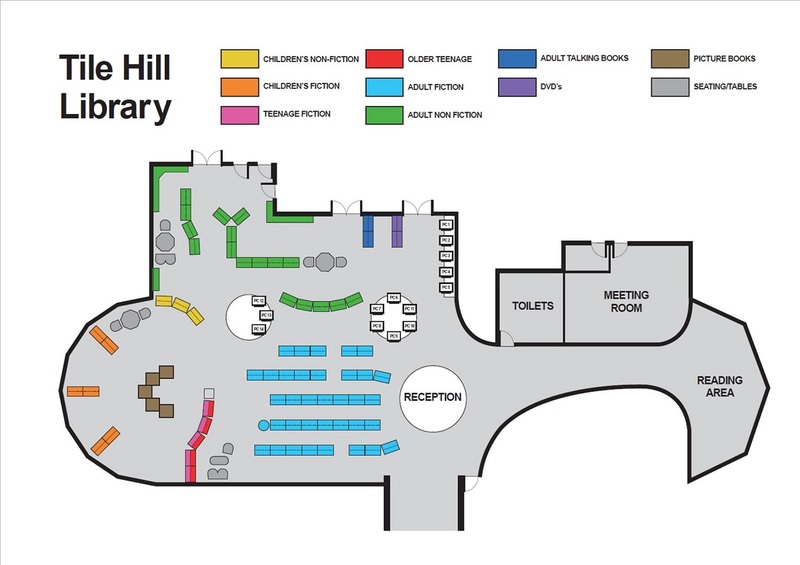 A map of the Library's new layout can be found below. Autism friendly signage to all areas of the library including a staff welcome board with pictures. New books for all areas of interest have been added, which include books on autism and asperger's syndrome. 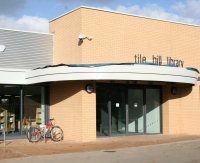 Autism friendly hours - Every Tuesday from 4.30pm - 5.30pm, Tile Hill Library will be completely autism friendly with lower noise levels, extra furniture available such as special bean bags, sensory tents, iPads with specialist apps available and designated chill out zones.